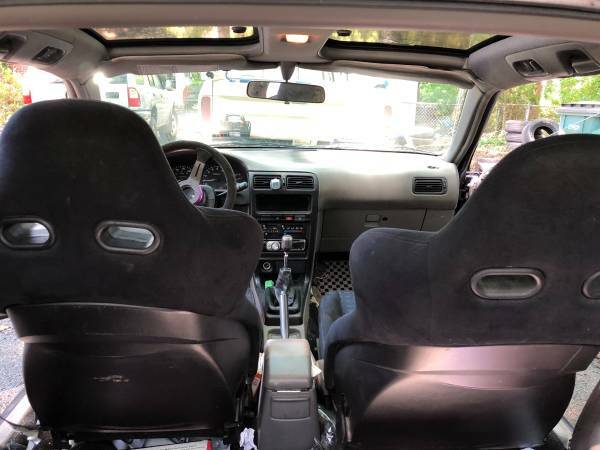 The Nissan B13 SE-R and NX Hatch were two cars that received near universal praise in the press and from enthusiasts for being fun to drive and extremely easy to modify. These models are prone to rust which is the main reason why you see so few decent examples up for sale any more. Being rare does not always translate into being valuable though. Today's reasonably priced NX2000 has been modified to excel at autocross, is said to be rust free, and has the tasty SR20VE engine swapped in. 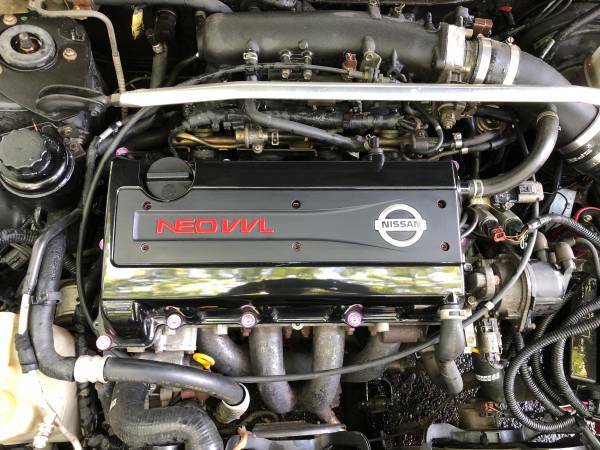 Find this 1993 Nissan NX2000 for sale in Tuckahoe, VA for $3,500 via craigslist. Tip from Fuel Truck. I'm selling my 93 Nissan nx2000 pretty rare car you never see these in this condition T Top car ! 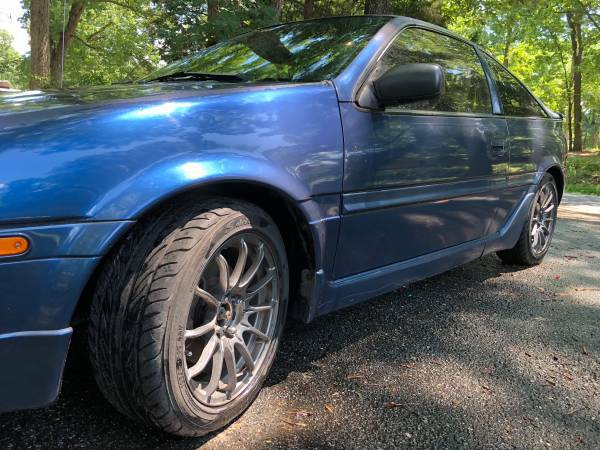 This B13 hatch seems very well done aside from the AC issue. I have owned a few of these and they are great driving cars for the money. The VE engine is like the original, but on the juice revving to a crazy 9000 rpms. Thankfully the original steering wheel is included in the sale. The EVO Recaros are worth every bit of $700 by themselves. Had a SER with that motor fun and fast ! This is a great find and I'm pleased to hear that the original wheels are available from the seller - would love to get it as close to stock appearance as possible for sleeper effect.